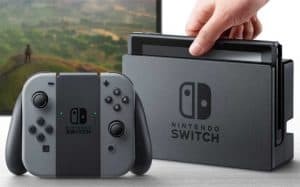 Nintendo Switch Launch to Have Fewer Consoles Than Wii U | Nerd Much? The Nintendo Switch launch may be smaller than we expected. According to Nintendo CEO Tatsumi Kimishima, they expect only 2 million units of hardware to ship by the end of the financial year on March 31. This reveal comes from the Wall Street Journal’s Takashi Mochizuki who attended Nintendo’s financial results briefing. This number is just over 1 million short of matching the Wii U’s initial shipment of 3.06 million. That’s a pretty hefty 33% decrease. What does this mean? Well after the commercial failure the Wii U has faced, we could very well be looking at a more nervous Nintendo. They were overly confident of Wii U’s performance and now their expectations have been grounded. Kimishima also had information on the Nintendo Switch launch price. While Nintendo won’t be selling the Nintendo Switch at a loss, they are still listening to our expectations before setting a definitive figure. However, they made it clear once again that no further announcements on specs and price will be made in 2016. If Nintendo is truly listening to our expectations, than let us suggest the price of $49.99. We know its a stretch, but if we set the expectations low enough, maybe the console will be cheaper than we though. In actuality, we think the Nintendo Switch launch price will be much closer to $399. In order for them to truly compete with the $250 price tag of the Xbox One S and the PS4, Nintendo is going to have to try to shave off a few more dollars.